Daily Sentiment Index for gold and silver was down to 7 out of 100 at the start of the day, so I expect finished close to zero. Bullish percent for gold miners ended a second day at zero. It’s akin to a stretched elastic band. Doesn’t mean it can’t go lower yet, but if so the relief rally would likely be bigger and faster. An obvious target for a relief rally would be the scene of the breakdown, which in gold would be around 1550. However, it would take a fairy powerful snapback to get us there and I doubt such a strong relief rally would occur if this is a new secular bear. So is it? 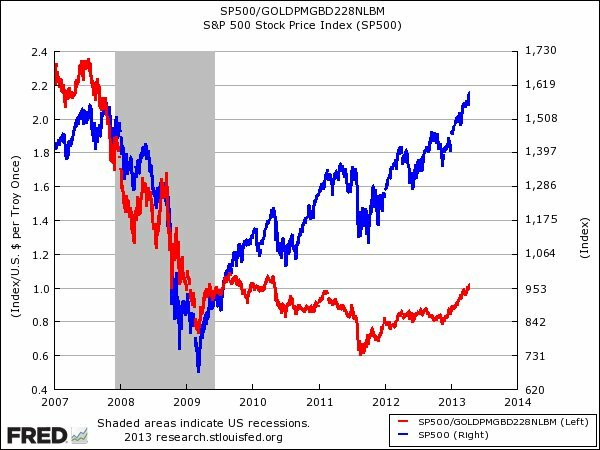 Many times I have documented reasons why gold is around the end of its secular bull: expensive value ratios versus stocks and real estate, solar cycle timings, bottoming out of real estate and (potentially) treasury yields, stock index p/es and p/bs having in various countries reached secular extreme lows. But this overall secular transition takes time and working out the timeline of developments is difficult. We also have the CCI equally weighted commodities index now at the bottom of its large triangle. Further falls in commodities here would ensure a break down and pass another piece of evidence to the secular-bull-already-peaked camp. I believe the action for the remainder of this week is going to be telling. Either buyers step in significantly in gold (central banks or large investment funds buy it up) and drag precious metals back up, to eventually reveal it was a last shake-out of weak hands before a parabolic finale – or – buying interest is weak and by the end of the week precious metals have tumbled further to levels whereby the secular bull cannot be recaptured any time soon. Ironically that would be a parabolic finale, only the wrong way up. So no time to delay, in my opinion. If you were in gold, like me, prior to the falls, then you either attack for a snapback or defend and close out or sit aside and do nothing until the dust settles. I’m sure you already made your choice, but for me if this is a new secular bear then I don’t want positions stranded further up and nor do I want to take a loss. I attack on weakness and sell into strength, and that works for me. Interestingly, yesterday was the biggest one day traffic for my site since I launched it. I imagine many were scrambling for info and ideas as they were holding precious metals and surprised by the action. If it turns out gold did make a secular peak in 2011, then it did not make a typical parabolic secular top, but silver did. Gold instead rather made a topping range from then until last week, which is the other typical market top, if internals or indicators negatively diverge. Perhaps there were such divergences in that ‘fear’ susbided over this period, as the Eurozone finally got to grips with its debt issues, the US dollar potentially bottomed out, inflation did not materialise as expected – all reasons for/against gold. And here we see recent growth in the money supply around the world. Only the US has weakened, but collectively the global trend is still up. It would take a reversal in policy to change this. Could such a policy change be about to happen? Potentially, if growth and jobs pick up and become more entrenched. However, right now, we are seeing doubling up in efforts in Japan, and no change elsewhere. Central bank balance sheets show a similar apparent correlation with gold’s trend, and again, it would take a reversal in policies, an reduction in or end to QE to change the balance sheet trend. Once again, maybe gold’s decline is telegraphing this, but right now we are seeing more QE in Japan rather than less. Of course it is not set in stone that gold should rise in line with balance sheets and money supply. Measured against other commodities, gold is overpriced and has advanced too far too fast. In short, there are multiple ways to value gold, and some argue for a (protracted) decline, some argue for further upside, but the bottom line is this. As things stand right now, gold is perceived as unattractive, because central bank policies have not (this far) brought about raging inflation, weak growth low rates and low fear is the general global situation, which persuades investors into stocks and real estate, particularly as both are historically cheap relative to gold, and there has been a build up in inventories in most commodities. So it depends on what happens next, or what is perceived to happen next. Will commodities outperform as late cyclicals if stocks make a top here? Is there to be a solar max later this year which inspires speculation and inflation? Is money velocity about to pick up in a meaningful way as growth becomes entrenched, leading to inflationary froth? Or is growth to weaken again leading central banks to even greater stimulus, which inspires money into gold again? Or is moderate growth and low inflation to be the norm ahead, with central banks gradually easing off and a new K-spring already underway with momentum in stocks and real estate? If gold still has unfinished business in any of these areas, then I suggest we should see swift repairs and solid buying interest, to reveal it was a last shake out of weak hands. If not we should see a weak response to the precious metals rout and the CCI commodities index breaking from its large triangle. An important few days. Any snap back to above 1,400 and I am shorting. This bubble has popped. It is Apple, Yahoo 2000 pattern all over again. It may find support at 1,000. The safe haven mantra is dead and so are the so called “funnymentals” for gold. It will just be accelerated when stocks pull back and USD strengthens. I still think equities are still in the topping “process” though and that we won’t see a crash there until a few more months out . . . but I could be wrong – keep nimble. And sovereign credit’s looking a-ok.
Who’d have thought? Crush commods, then let stocks do the same (after bringing in as much retail money that you can in both), and keep rates low? Sound like an evil plan? Sounds like a plan I’ve heard of before. It’s the Bernank Plan. In a “round about” way here to (without getting to “in your face”) in the comments of this post: https://solarcycles.net/2012/09/25/addendum-to-forecast-2013-series/ When looking at that chart now . . . well, based on the pattern and momentum of the move lower, one might project much lower targets than my original targets (800 would not be uncommon at all for a parabolic retrace). I know this ain’t pretty. Best regards, and good luck with trading this. Personally, I’d be looking to liquidate longs beginning at 1445 and would see a gap fill at 1500 as a gift. This will be remembered as great gold crash of 2013. But it’s not the end of commodities bull, even though gold may touch 1050. Why gold is falling? I don’t want to know! Maybe the Japanese sell their gold because they don’t trust their government anymore. They buy JPY and wonder now where to hide their money…or Cyprus makes people think that govenments may confiscate gold as easily as deposits…or gold was a very crowded trade and need to shake most of them investors…why should I care, I have the price action! Technically, the price should be contained now between 1320 and 1410, but I doubt it will retrace back to over 1500. If it’s a shallow ABC correction, bounce off 1410 ‘B to C’ will give the first daily sell signal since the break-out. In the meantime, there were several sell signals on intraday time frame, with exits today in the morning. If it goes down to 1320 from 1410, it may not be broken immediatelly. If the price goes above 1410, the reaction may last a while. I think that buying into this fall was a risky strategy, because it’s not a pulback in a trend like flash crash of 2010, or summer fall of 2011 which John Hampson was attacking with success. This time it’s a breakout from an over-a-year long consolidation, the trend is down. It’s mid-term countertrend trading, not a pullback attack. It’s not the end of the commodities bull, I don’t believe that the outcome will fit into solar cycles patterns of 1940-s or 1980-s. This money printed will be unleashed, so that commodities will rally with vengeance, solar peak or not. I will support gold myself when the chart tells me so. Everybody has an opinion and nobody should listen to anybody! John may be right or wrong and still make money, it’s his trading. I may be right or wrong and not make money because at the moment I took time off trading for a few weeks, it’s my trading. Someone else may be a gold bull, be right in the long run, and still lose money, because indicators, sentiment, fundamentals and gossip from gurus like Soros or Faber are far more important for him than price action itself. I love to give my opinion, doesn’t mean I am right and want to be listened to. Dear espe906 X 2….you are very smart. You said.. “This time it’s a breakout from an over-a-year long consolidation, the trend is down”. Your observation is good enough for me to take profit right at the opening. Many thanks. despe906espe906: I think the money printing or whatever does not matter. All funnymentals do not matter. Did you see that money printed? You read something in a paper. The only thing that is real is PRICE and VOLUME. You can measure it and it is there as someone made money while somebody lost. It is difficult for it to lie. The planets rotation can be used as they are “fix” in this world. Everything else such as money printing, inflation, deflation or whatever argument is made up is a trader’s worst nightmare. You either trade a break out or a reversal. There is nothing else. Where you take profits or take a loss defines your results and how you manage that trade i.e. double down, pyramid etc. Everything else is SCAM. Predictions say more about the person making them than the outcome. I have been a gold bull and I still am but I am going to short it if it bounces as it fits my setup and rules of engagement. Having said that, I do not have a clue if it will rally further or crash. I think it will crash but it could rally. It does not matter to make money. So if John is trading for the quick reversal then that may be a good trade in my book. Whether it will continue further or tank is impossible to know. Traders may have a very different approach and still make money. For me, fundamentals do matter – as a background only; they will never be more important than the price action. I think many traders/investors are so attached to their opinion for a reason : taking a loss. Strong belief and opinion are an excuse not to take a loss, to have a wide stop loss level or ‘I will hold no matter what’ mentality. I think that market bias is important and necessary : it gives you confidence to go with the trend and to pyramide if one is able to do so (I love it personally). But market bias must always come second. Jesse Livermore said once : if you have a strong opinion, then wait for the price to justify your trade, don’t worry if you will miss a few points – if you’re right, you will make money anyway. Jesse was never a countertrend trader and never faded reactions, he was waiting for momentum in an established trend. Can you make money by bucking the trend? Of course you can. Can you make a fotrune? No, never. despe906espe906: For sure there is a million ways to make money in the markets. But to do it consistently as an independent trader I believe that the only thing that works over the long term is statistical significance in your method. But again different strokes for different folks. I am sure you can make money in exactly the opposite fashion as somebody else. I.e somebody can trade the trend while somebody else can trade the counter trend move and make equally amount of money in the long run. Both can make a fortune. There is no trend. despe906espe906: Did not Jesse Livermore go bankrupt and shot himself? Yes, but at some point he was the richest man in the world. We cannot judge J. Livermore, no one knows what happened. Hi guys. Been out most of the day. Thanks for all the comments and input. Just mulling things over currently. Likely another post tomorrow. Will of course post if I close (or open) any trades. I have updated all models. There is also the question of the consequences of minting so much silver and gold bullion on a global scale. Let’s set aside the metals bull game for a second. What will come of all the minting? Will the world use it? One thing that I don’t hear much from the investment side is the “new currency” aspect of all this. That in itself implicates a somewhat predictable outcome in this cycle of rising commodities. If the metals start leaning towards currency then the value is anyone’s guess. Have you taken this into consideration or is that scenario most likely to be played out about 30 years from now? Personally, if that were to come to pass, I don’t see that kind of total financial system overhaul danger until the next secular bear, closer to mid-century (based on extrapolating trends). 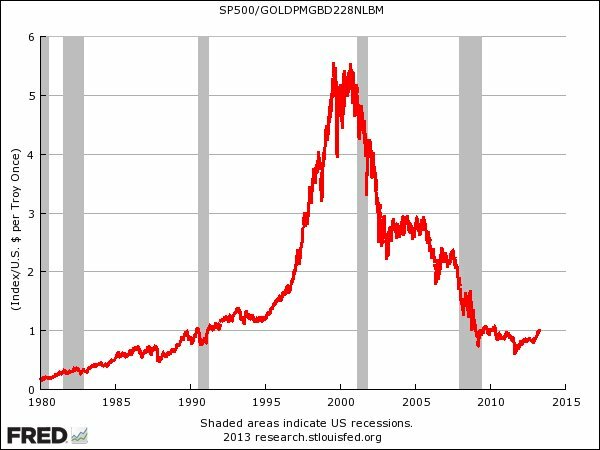 I showed here a gold chart (1978-2012) with a special indicator, which suggested that in 2011, a bubble was built. Can make a case for a bubble in 2011, I agree. Should it turn out the peak, it can be justified in various ways. John provides more more thoughts on the recent smash down in gold…a pivotal few weeks ahead! The softs held up nicely through the panic. Cocoa is breaking out of downtrend from 2011 and is recently coming off a bounce from its 10 year uptrend line. Bull market is still very much intact. Yes, agri largely retraced yesterday the infected selling of the day before. Larry Edelson, to much ridicule, had been bearish on gold since late last year with a price target of $1380. Now thats been breached he’s looking for $1028 by mid year……….but, he’s a gold bug and expects to see gold at $5000 in the next wave up ! The decline has been very powerful and i can see his lower targets matrerialisng. Since the top in 2011, Larry’s been talking about gold retracing potentially to 1000. he’s giving different targets because at each of them decline may stop. Larry is right about trends, but if you follow his reccommendations and buy leveraged ETFs, you will be wiped out! Larry’s been right about housing price crash in 2006, about market top in 2007, about market bottom in 2009, about gold to contiue up despite those ‘monster’ waves in 2008, now right about gold decline from 1800-1550. He was not right about the dollar weakness and bond market crash. It looks we will form a new reversed head and shoulders to me with head at around 1,000. Stop orders were front runned in my mind and caused it to panic sell. Next wave is margin calls down to around 1,000. No way to tell in advance. Just trade your strategy. The most unexpected is usually what happens. Too much negativity and too much IBanks saying sell in papers. Short case too easy as well as long case was before. I think there is an interesting misunderstanding of how QE works and the capital requirements of how much banks are required to hold for stress tests. This money cannot get out. Only Bonds offer that chance of escape velocity. QE paranoia that it could lead to inflation is true if the printing presses or their electronic equivalents are flinging cash out into mainstream. You would see this in M2 and M3 before inflation caught up. I’d argue inflation did show up in equities in 2010 and 2011 thru today. Executive Order 6102 in 1933 – first gold price spike recorded? Bretton Woods was decided in 1944. 1946 and 1947 resulted. 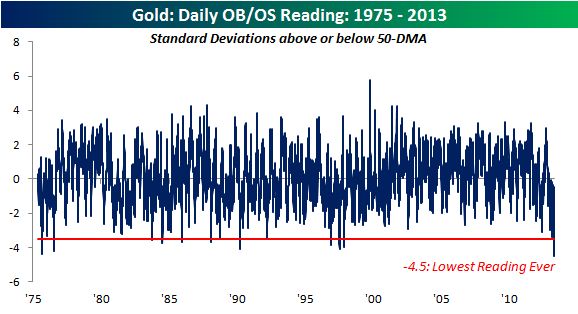 It ended in 1971, if gold was 1:35 at the time, it took almost a decade to see the Dollar/gold ratio go nuts. Equities peak in mid-70’s was first to react as it did in 2009/10. People never discuss credit availability and volume ratios to gold it seems. A larger population requires a larger fiat currency and a shrinking population requires the opposite. That is why the USA can never go back to a gold standard. Global population to Gold’s price action in the past would be interesting to view. A governmental body that defers taxation to allow a user to grow the government future potential revenue for them does have a vested interest in seeing that user’s ability to inflate occurs with minimal interruption. It’s not too often you view a chart from anyone representing future revenue for a governmental body from capital gains receipts. All too often only outflows are focused on, which can make it seem like a fiat currency is going to inflate out of control. I’d argue John that if Bernake does not accept or loses the nomination and we a different chairman takes the helm, we may see a belated price shock in gold and inflation. His predecessor not being as slick of a helicopter. If he sticks around, which I think he will, we will see a more orderly unwinding of bonds and M2. I think there are too many optimists out there that stand to make money on short term trends but that the K-Spring and possible inflation is 3-4 years away when bonds don’t deliver. Energy and health care policy in the USA will strengthen the dollar, but act as a damper on job creation. K-Spring also should create inflation through restoring purchasing power lost in the K-Winter. Restoration of purchasing power will increase demand. Think 2019 a crash of some sorts due to mass retirement or bond crash . I’d argue that the US has been in a recession since beginning of Q3 2012 and the government has tuned statistics to hide it. July 2013 may be the end of the V-shaped recession or the middle of it. Signs of a K-Winter ending are emerging, Detroit, MI, USA taken over by the state last month, new energy sources coming available, folks who have put off having children for 7 years or more having a ticking biological clock. John, you mapped out using other data what led to price action in gold. Listing events I think helps to frame the magnitude missing this year and in the near future. What’s next to trigger gold it must be economic in nature. End of a legacy, dawn of another. An end of dollar as reserve currency? No, too early and against shrinking deficits. I see bond or real estate market crash or forming of a Eurasian union because the EU cannot bail itself out. All existing college student loans absorbed by the treasury and paid for by taxation on energy? Arab Spring leading to Arabian Union – never. Unrest in China raises coup d’etat chances and loss of investment made by western corporations. Iran and DPRK? Not under this US president. I’d argue (and have offline) that the world being Dollar reserve denominated owns the rest of the world via world bank, globalization policies, defense agreements, and our outsourcing of energy and manufacturing. Adam Smith’s invisible hand? The QE experiment by other nations is the latest evidence of US leverage. A barrier free system after all is what we learned from WWII. Our trade deficit and the Triffin dilemma along with energy policies may imply a different outcome in the near future then charts depict. All I know is, I don’t have a crystal ball. What I can say is with the record bankruptcies in the USA winding down by 2015. There will be a lot of pent up demand. Equities will rise as baby boomers are stashing away more as they age. Real estate will once again become an ATM for many as rates will be low due to high unemployment. Think other cycles or unknown related to solar cycles may not be measured yet that leads us to uncertainty. I guess short term profits are better then none at all. And of course, losses of that magnitude would be highly deflationary. Which basically means that zero interest rates and QE become a self-defeating strategy in the end. Of course, Japan has been proving that for 20 years already… and they still continue to try.. Interesting stuff wxguru. My view on the planetary cycles is that – for sure there is influence. We can probably say that with 98% mathematical confidence however various cycles only have say 10% influence at the time. Then there is not only planetary cycles but the entire universe gives us influence and that is hard to gauge correctly each time. We can try. But again one does not have to be right to make money. Accept a 60% hit ratio. It is enough. Do not be a yale student. What is dangerous in my opinion is having various views in trading. i.e. EU can not bail it self out or the US will lose their reserve currency status ett etc. It does not matter. We do not know that. Those ideas are formed from reading stuff in papers, blogs etc or listening to what other people think and say and do not necessarily reflect reality. I know they say they print money and it is probably true, however I have not seen that money myself so is it true? Perhaps or perhaps not. Are GDP number true or not? I do not know neither do you or anybody else. The EU can not bail itself out. Well, maybe, maybe not. Maybe, EU is not in such a bad shape. I know they say it on CNBC and the US but nothing is different in Sweden than before. Went on holiday to Spain. Did not see the crisis that you are talking about. Went to the US and did not see any difference between the US and Spain more than US looks more like Russia these days at the border i.e. controls etc. The ECB is backstopping in the same manner that the US. They are monetizing. For sure politicians would like to create Eurobonds and integrate but then again you can not know it. And the more focus is put on prediction the worse trading becomes. Find an edge. Short term is better than long term in my view as the mantra is that short term is bad i.e. you should be a long term investor. Why is this a mantra? It is easier to find statistical significance for the short term. Trade it and do not predict. If a lot of people have an idea then it is probably better to try to think about the contrary argument that is not very likely at the moment if you are trading on funnymentals. Kudos John. Thanks for the updates. The Jury is not back yet. My last comment mentioned Saturn-Neptune. Little known is the fact that when these two planets are in a trine (120 degrees apart) relationship financial crises can erupt. The last time they paired by this degree of separation the economy slowed in 2001. Gold was a sore subject in 1869 on Black Friday and government debt was an issue then as well. May-August of this year the aspect will be very close and peaking in the July-August time frame. We will speak of a new recession at this time so your scenario of additional QE like tactics sounds reasonable to me. One hundred and eleven years after Gould and gold the Hunt brothers attempted to corned the silver market. Inflation bottoms at the trine angle… so with Saturn in Scorpio and eclipses in the money signs, Taurus and Scorpio, the commodity rush may still be ahead. The high for inflation restricting to just these planets isn’t expected until the late square which falls in the December 2016 and January 2017. A composite chart projection suggests that inflation really heats up late 2013 early 2014… not sure if this fits within the Solar Cycle time-frame. Will have to go back and check the document. These measures could be a little long compared to Solar projections. That would fit. Thanks HVA. From an investment point of view, what has changed? Have read that of the top 14 gold-holding countries in the world, only Russia increased its reserves over the last year – by 125 tonnes. The others remained static. However, this does not include any action following the falls. It would certainly aid gold’s case if news came out that a major central bank, or a major investment fund, had made large buys following the falls, though i suspect on the subdued price action so far it hasn’t happened yet, if it is to happen. I think the market for central banks is different than paper gold. They buy large quantities of physical gold and probable negotiate etc. I know Germany took back their gold not long ago from oversees locations such as the US. Again, I think a lot of traders had their stop orders just below that technical flag and somebody made out big and got us into a negative spiral in gold. As Tudor Jones says who was short buy the way: “If it is obvious – it is obviously wrong”. I read that every $45 dollar drop in the price of an ounce of Gold corresponds to the sale of a 100t… the panic was precipitated in some measure (among others) by fear that European countries might follow Cyprus’ lead to sell Gold and pay down their debt. As this fear subsides the metal could rally back up to prior levels, OR at least move within one standard deviations projected by some models. Most analysts had a 4% to 5% pullback in their models so this behavior was of another magnitude altogether. Thanks for the open-minded and informative post. Now everyone has to conclude for themselves if gold and commodities have topped. IMO, the commodity bull that started in 1999 has topped in 2011 and we are transitioning to the next economic boom phase since then.